Toward the end of age 3, Benjamin starting showing interest and displaying more understanding in games. 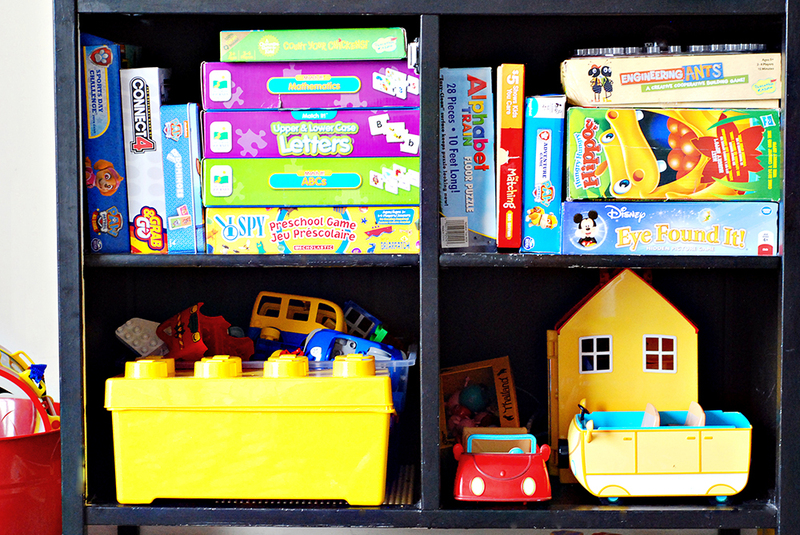 Prior to then he had been introduced to games through Memory, which is wonderful for children's cognitive development. His first real love for games came with World of Disney Eye Found It Card Game , which we must have played 100 times. It's a fun intro to games, with each player competing to find various items [set to Disney scene backdrops] before the rest of the players. 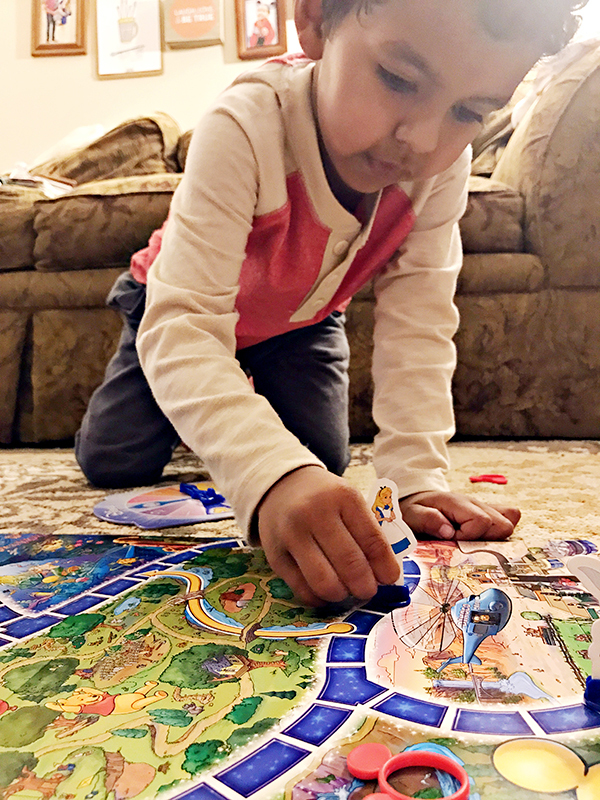 For his 4th birthday, Benjamin received the World of Disney Eye Found It Board Game . This was our first real "cooperative" game and now these are definitely my favorite kind. Together we try to race the clock to the finish line. One of us wins for the team, or the clock does. So fun! Count Your Chickens is a simple spin 'n go game where you try to get all the chickens into the coup before getting to the coup yourself. Any chickens left out of the coup get eaten by the fox. Yikes! It's another great intro to cooperative gaming. I was introduced to Zingo! during my years as a nanny and I remembered how fun it was. It's "Bingo with a twist" -- Each player gets a bingo card. Two Zingo! tabs get dispensed at a time and the first player(s) to claim them, get them for their board. There are simple pictures for children who cannot read as well as sight words. It helps build language and matching skills. There are additional [more difficult] versions of the game as well, such as Zingo with Sight Words, Zingo 1 2 3, and Zingo Word Builder. We recently received a mini version of Frida's Fruit Fiesta Game in a happy meal. The object of the game is to help Frida collect yummy letters for her little ones. It works similarly to Bingo, as the first to collect four letters in a row wins the game. 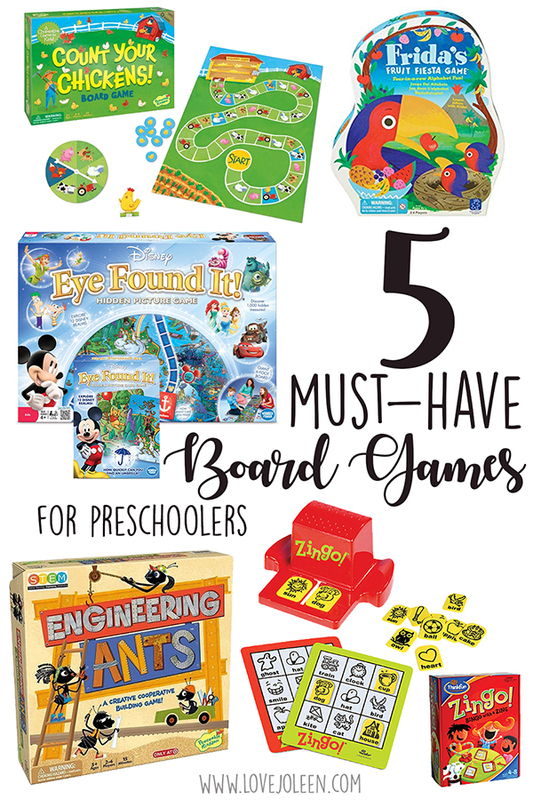 It's the perfect game for preschoolers because it helps teach them letter recognition, strategic thinking, and fine motor skills. Engineering Ants is a creative cooperative building game, geared toward ages 5 and up. It's an intro to STEM (Science, Technology, Engineering, and Math) and a little more advanced, but Benjamin thoroughly enjoys it. I can see how he'll only get better at it as he gets a little older. The object of the game is the build inventions that help your ant [game piece] to get around specific obstacles. These five games are really just the tip of the iceberg. 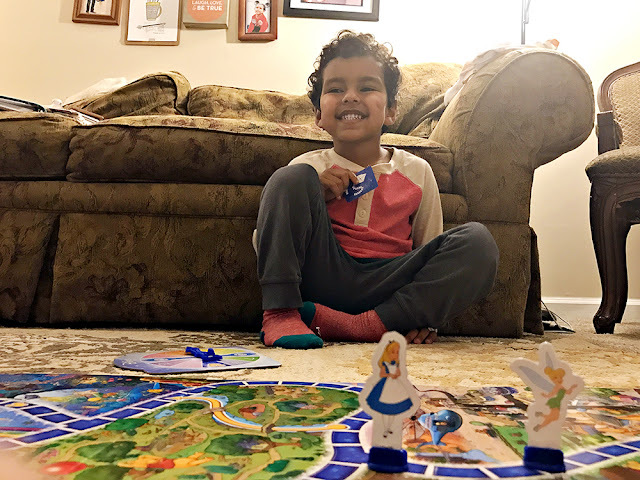 If you're interesting in using games as a part of your homeschooling curriculum, like we are, you'll definitely want to check out this Gameschooling blog post on The Homeschool Sisters Podcast. It's super informative and might just change the way you think about gaming!